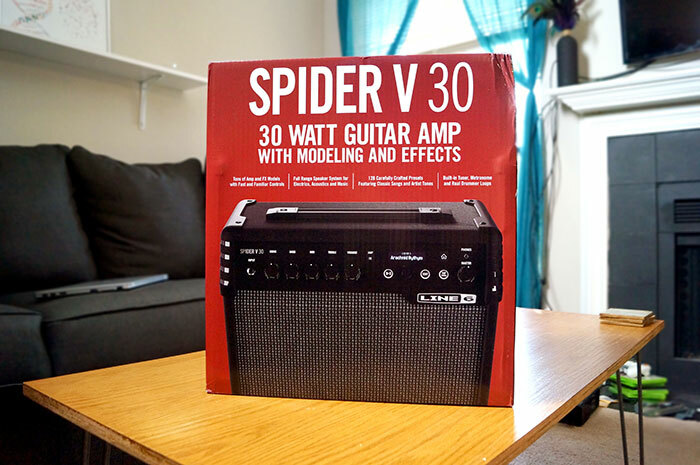 The Spider V30 is a 30-watt combo amp simulator in Line 6’s newest generation of the Spider series. The amp has over 200 combined simulated amplifiers, guitar cabinets, and effects like reverb, delay, compression, and modulation. It features a small, 8″ speaker to provide a unit that Line 6 claims as great for practicing and jamming. 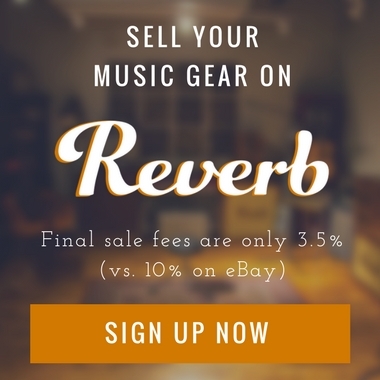 At $200 new, this unit is billed towards beginners and hobbyists who need something to learn on or just want to jam with friends. However, with that said, the combo amp is capable of a bunch of different tones and in this review, I’ll cover a few of those tones, the features of the amp, and my likes and dislikes of the unit. I’ll give a demo of the amp, comparing the sound from different recording methods and showcase a few of the different types of sounds you can get out of the amp. 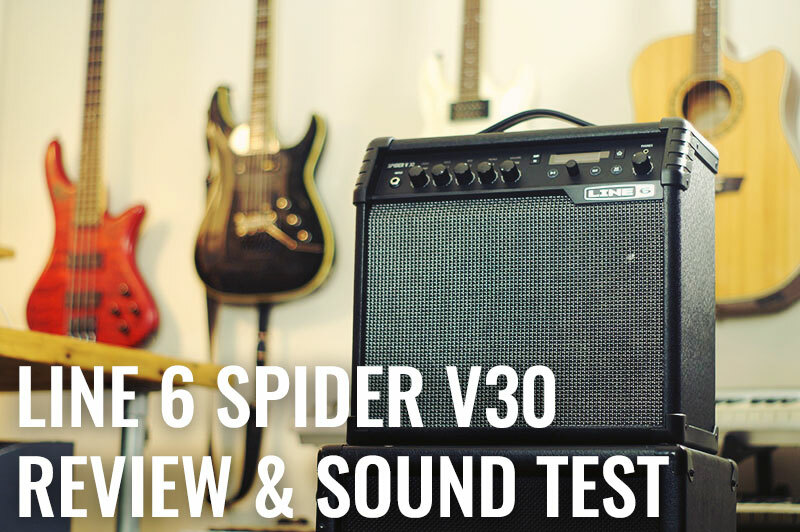 Conclusion: How Does the Line 6 Spider V30 Stack Up? Unboxing the unit is straight forward. 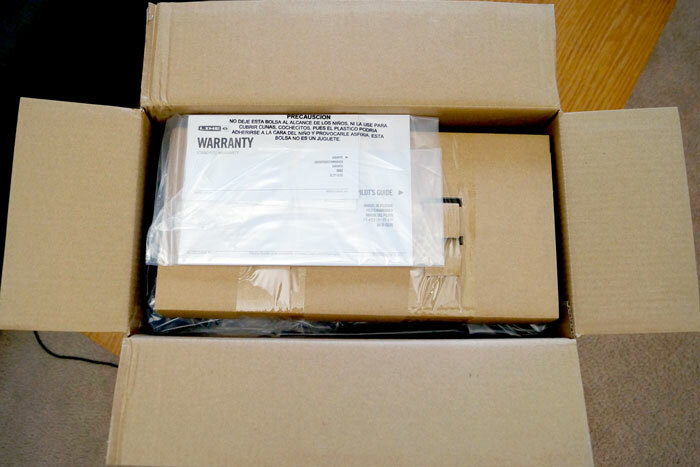 The amp comes with a manual, warranty information, and a 5 ft. power cord. Nothing fancy here, it’s just packed away and protected nicely. 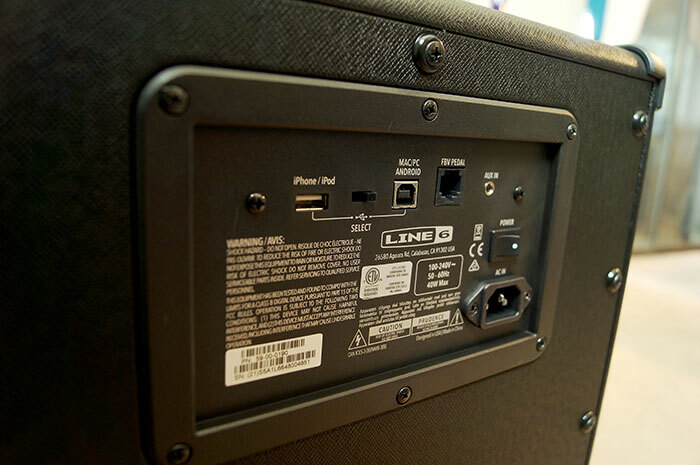 The amp is powered on from the back of the unit and the amp settings can be adjusted using the knobs on the amp or by plugging an iPhone or iPad via USB into the back of the unit (Android devices can also be used). These knobs feel solid but I would have appreciated a bit of resistance. The knobs turn with little resistance and no clicking. The edit knob, however, clicks when turned. In any case, a little more resistance would have been nice so they don’t get turned accidentally when dialing in the amp’s tone. 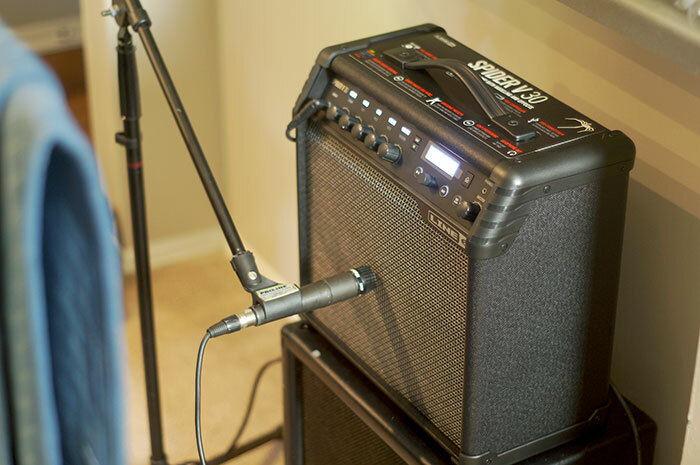 Creating more complex sounds can be a bit trickier and time-consuming when using the amp itself. Like I said, you can adjust the mix level of each effect with the dedicated knob. However, adjusting other settings for each effect (like effect type, delay time, eq settings, etc.) must be done inside the edit menu using the edit knob. This area can be accessed by clicking the “Edit” button. You would then scroll through the setting using the edit knob to find the effect you’d like to adjust, find the setting you’d like to adjust for that particular effect and click the edit knob to begin adjusting it. Once you’ve dialed in the setting, you would then click the edit knob again to confirm. This can take a long time to do if you want to adjust multiple effects on the amp itself. Also, the edit knob is a little finicky in that if you turn too fast to the right or left it doesn’t always register and can sometimes take a few turns to actually recognize. It may go in the opposite direction for a click or two (if that makes sense?). 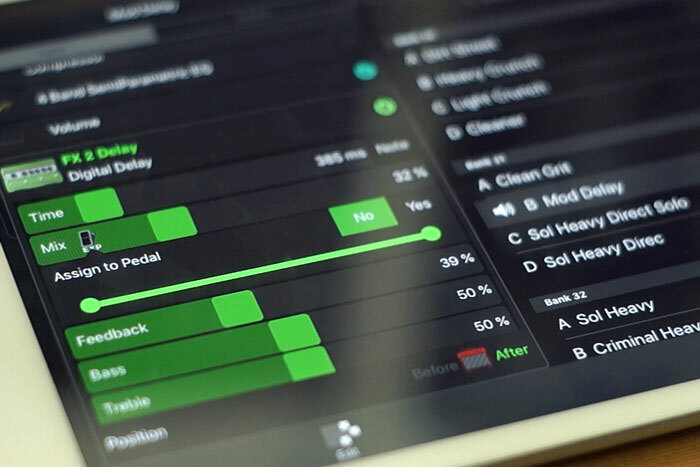 Using the dedicated app with your phone or tablet is much easier to edit the amp’s settings. In the app, you can do all of the same things as you can do on the amp itself but in a much easier to use interface. You can select through presets, select amps and cabinets, and adjust effect settings by clicking on them (a box will open where you can use a slider to adjust each effect setting). This app is well designed and easy to use, although, it can be a bit sluggish at times taking a few seconds to load. 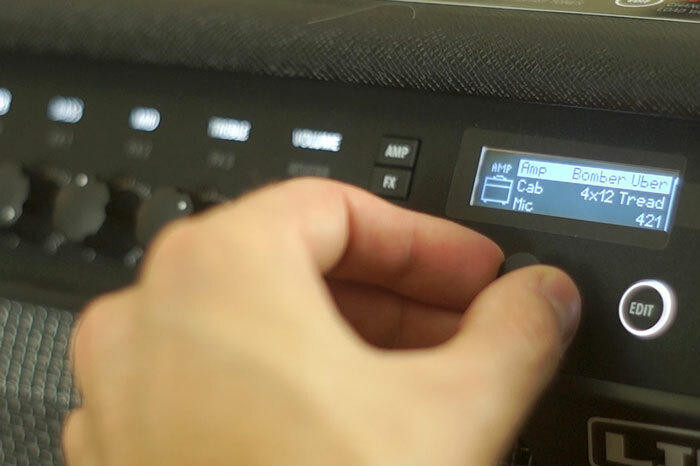 For instance, when switching a preset, the sound itself will change immediately but you won’t be able to adjust any settings until after a few seconds when the preset loads on the screen. A major flaw of the app, though, is that it can not be used when recording directly from the amp to your computer. You can record from the amp using a USB connection. 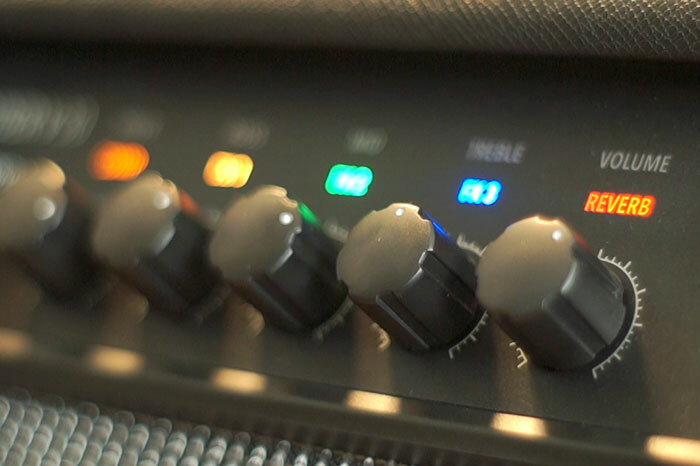 The amp essentially acts as an audio interface, and in your DAW you can arm the track with an input from the amp and record your guitar sound that way. The problem with recording this way is that you can’t use the app at the same time. You need to be connected to the computer via USB and using the app with a mobile device also require a USB connection to the amp. There is only one USB connection on the back which makes using both at the same time impossible. A big oversight in this amp’s design. The workaround, if you want to record directly with the amp and be able to use the app to edit the amp’s setting at the same time, is to record directly from the amp’s 1/8″ headphone output (which is how I recorded the sound demos below). You will need a male 1/8″ to female 1/4″ adapter to do this. The extra USB connection would have been nice to be able to use the app simultaneously when recording directly. 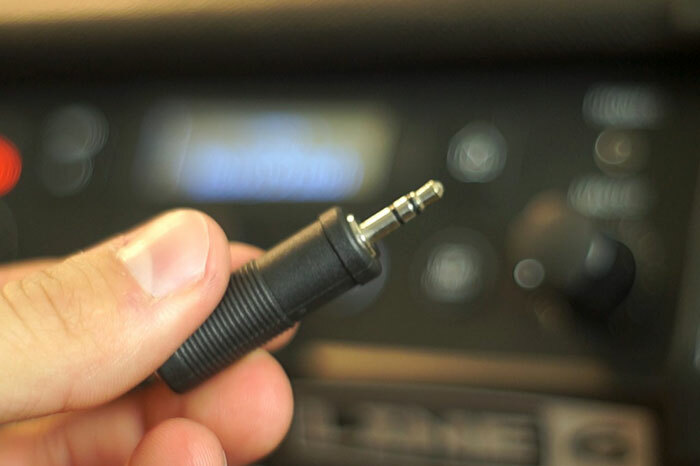 Or, a 1/4″ or XLR direct output would have also worked, so that you could go straight from the amp to your audio interface without needing an adapter (higher versions of this amp like the Spider V120 and V240 do include this feature). For some of you, this may not be a huge deal (especially if recording isn’t your number one priority when looking at this amp) but it is something to think about. The audio quality from the headphone output vs. recording directly using the amp as an audio interface was exactly the same from what I could tell. In the video and SoundCloud Clips below, I demo sounds from this amp and let you listen to a small sample of the tones you can create. I started by comparing some heavy distorted sounds with the amplifier recorded directly into my DAW, another with the sound from the amp but using an IR from Rosen Digital (instead of the internal cab simulator), and the sound of the amp mic’ed up. I also demo a few other sounds like a cool modded delay sound, cleans, and crunch. Ultimately, in deciding whether this amp is right for, you need to think about what your use will be. 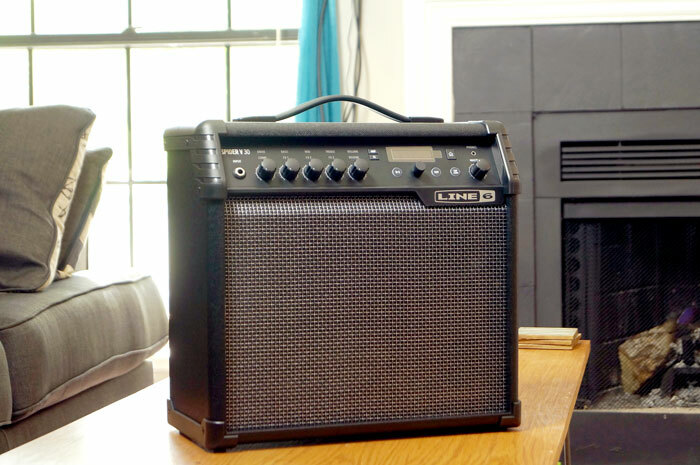 The amp itself is built fairly well, feels solid, and is a decent size for a portable amp making it easy to throw in your car and bring it over a friend’s house. 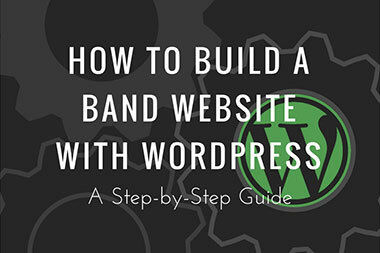 I think if your main goal is to find something to practice on, jam with your friends, have access to a variety of sounds to experiment with, and you want a physical amp to dial sounds in on, this fits the bill for all of those. At $200, you get a ton of different options. 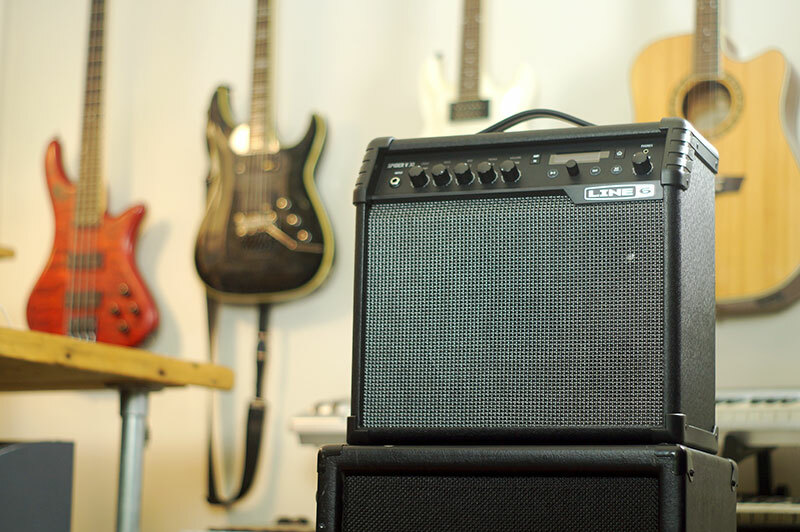 Dialing in the amp isn’t as easy as some expensive, higher-end tube amps and the sound isn’t as warm as amps in that line. But, you really shouldn’t expect it to be. 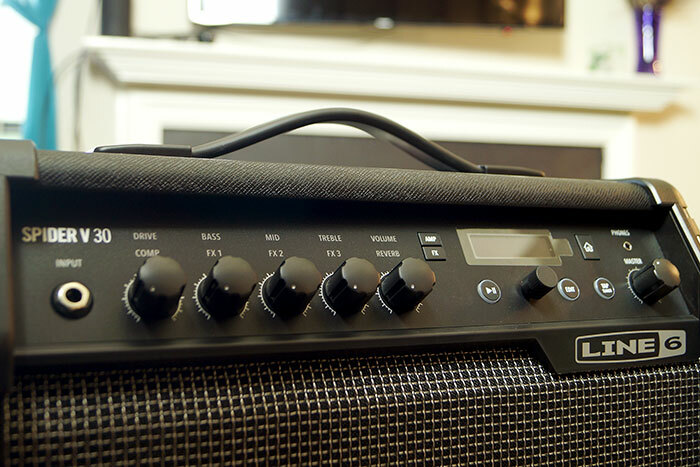 With the right amount of time spent with this amp, you can dial in some decent tones and the effects themselves are pretty great and fun to use. I hope this review was helpful to you and if you have any questions, leave them in the comments below and I’ll do my best to answer them. Also, be sure to let me know what you think of the amp and the sound in the comments below. I usually play for myself or with friends when we get together. I won’t be playing for audiences, just us in the basement. I want to get a modeling amp but am not sure which one to get. I don’t know much about them and most reviews I see are from guys trying to get you to buy them from their shop so the reviews are skewed to the positive no matter which one you look at. I’m looking at the Fender Mustang GT 40, Peavey VIP vypyr 2, and of course the Spider V30. I’m wondering if you have had any experience with the others of these and what you think about them. I mostly play blues, rock, southern rock and rockabilly. Any help you can give me would be greatly appreciated. I don’t, unfortunately. However, taking a look at them, all of the amps you listed look like they will work for your situation. They should all be plenty loud enough for jamming at home or playing with friends. 30 watts is more than enough for this purpose. One thing I will say is that since the V30 only has a 10″ speaker it does lack bass when playing through the speaker. I’d imagine the GT40 would have a similar issue with just two 6.5″ speakers. Generally, the smaller the speaker the less bass response there is. There are a lot of nice effects in the V30 if you use effects when playing. Hi! I have a Spider V60, and also a Rosen Digital IR pack. I would like to know how did you change the built-in cab responses to the Rosen Digital ones. I have the spider app but I couldnt find an option to load your own IRs. Thanks! By signing up, you are subscribing to the Infamous Musician newsletter. Don't worry I won't spam you. 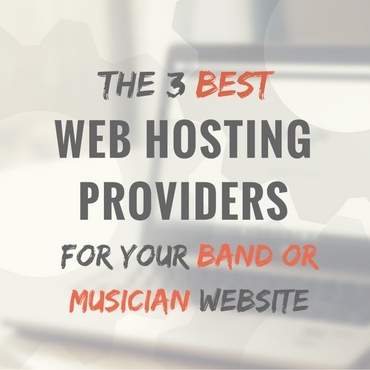 I'll only send you the best resources for musicians a few times a month.